Thanks to an ergonomic graphical user interface (GUI), the hexapod software offers simple commands. The pivot point can be easily changed via the control interface. 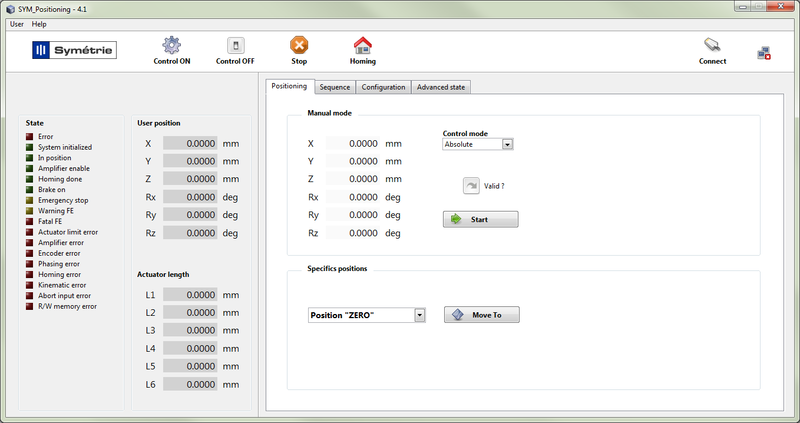 The Application Programming Interface (API) enables the integration of the hexapod control into any third party software. Some software development kits are available in several languages: C, LabVIEW, EPICS, SPEC, TANGO. SYMETRIE has a strong knowledge and experience in software development, which means that we can adapt our software to your specific needs.